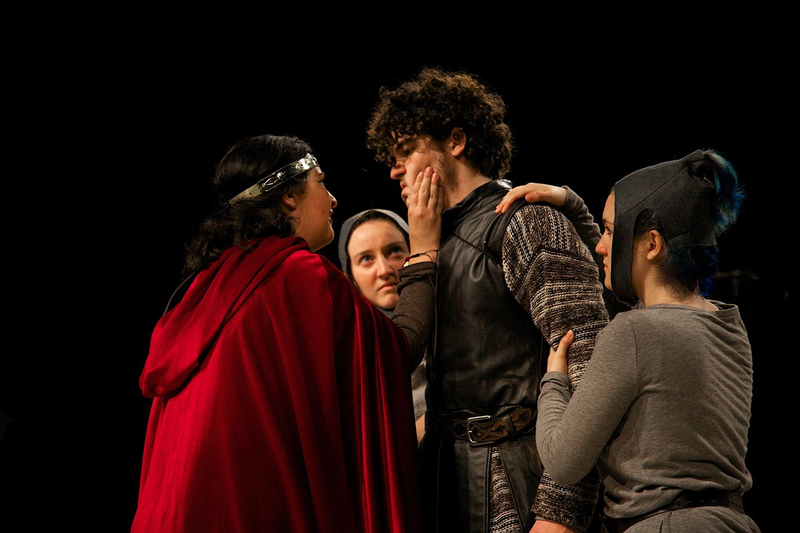 Guilford’s vibrant Theatre Studies Department offers both majors and non-majors the opportunity to experience the collaborative process of bringing a shared vision of a script from the page to the stage through the medium of theatrical production. 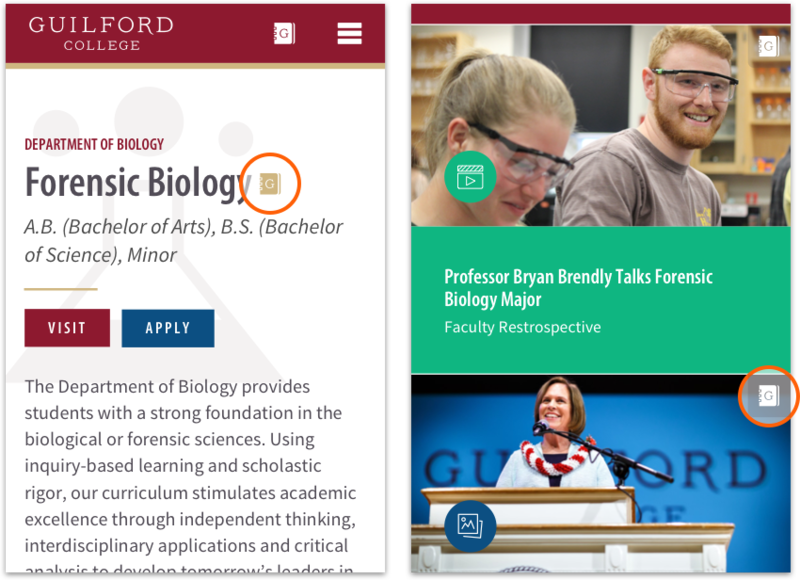 Classes develop the skills essential to this process: critical thinking, research methods, intuitive reasoning, communication, project planning and time management, problem-solving, teamwork and leadership. 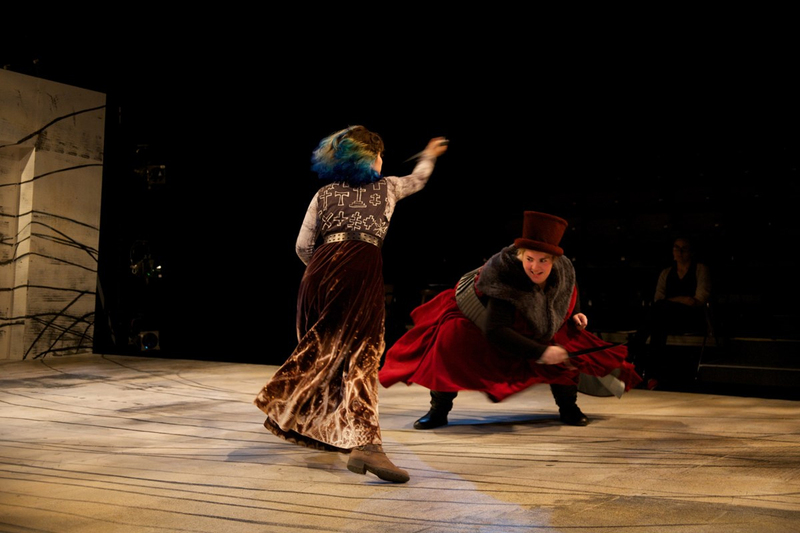 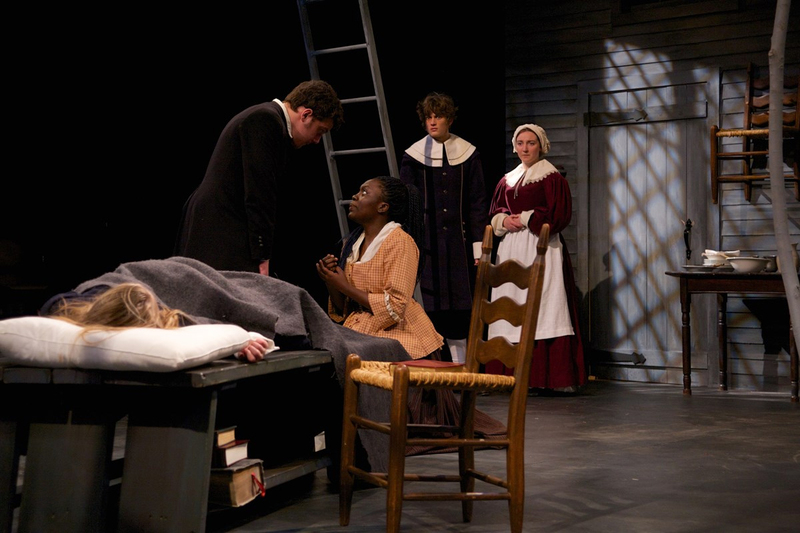 The integration of theory and practice is fundamental to the program, as it is to successful theatre. 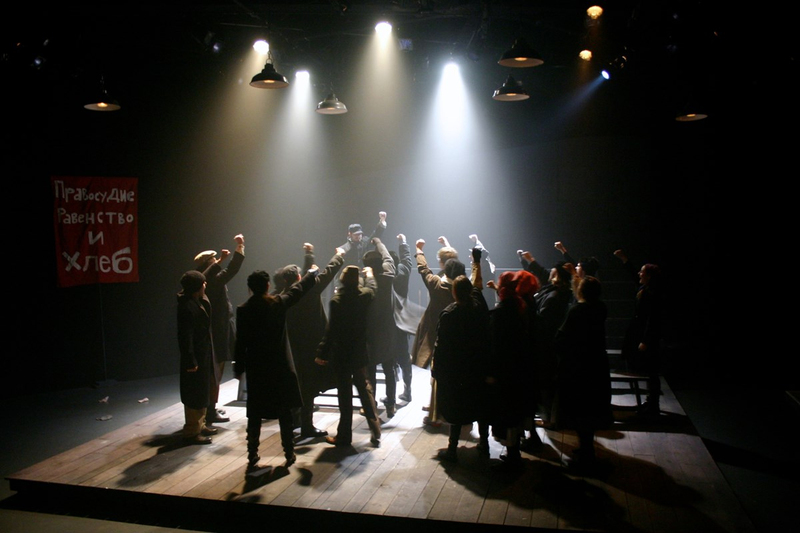 The conceptual learning of formal course work is complemented by participation in theatrical productions, which are chosen with attention to the developmental needs of the current student population. 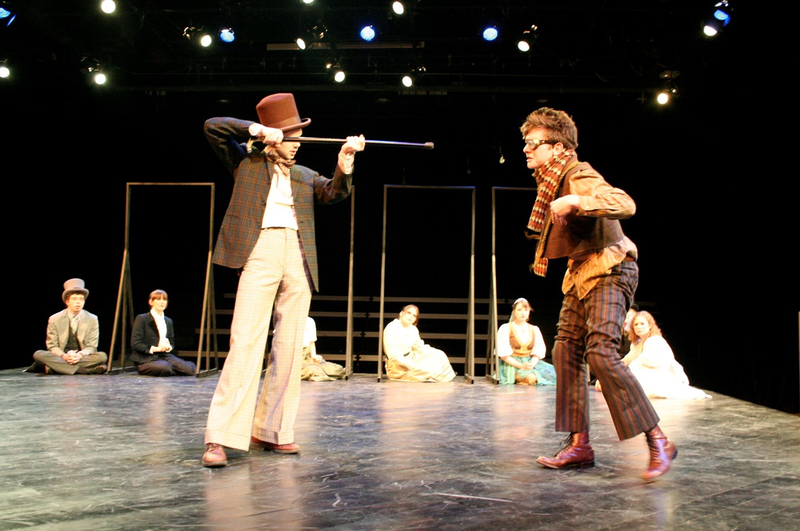 In a four-year period, students will experience a broad range of styles and periods of dramatic literature in performance. 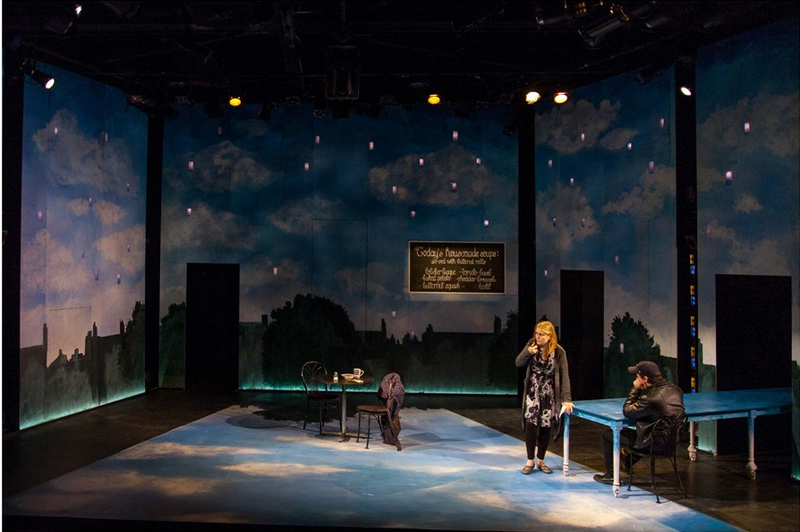 As Theatre Studies majors, students choose between four specialized tracks (generalist, design/tech, history/literature and performance), while minors choose between two (theatre arts and film and video). 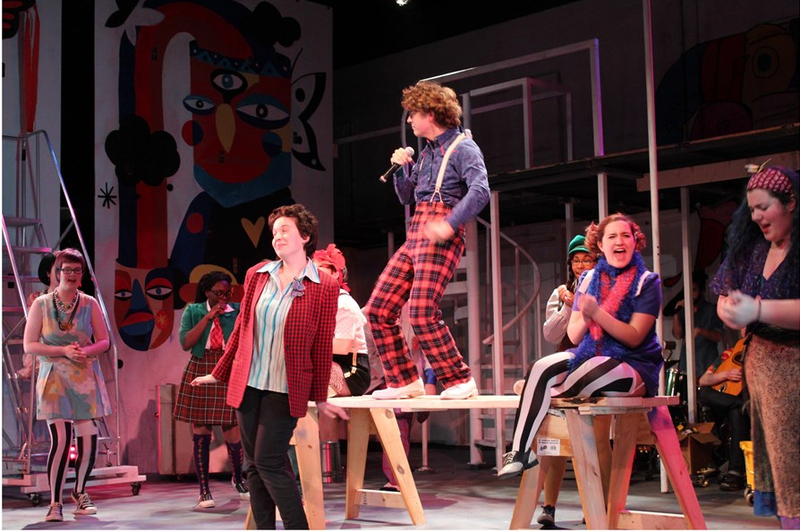 The minor track in theatre arts provides students from other majors the opportunity to study an intensely collaborative art form from multiple perspectives. 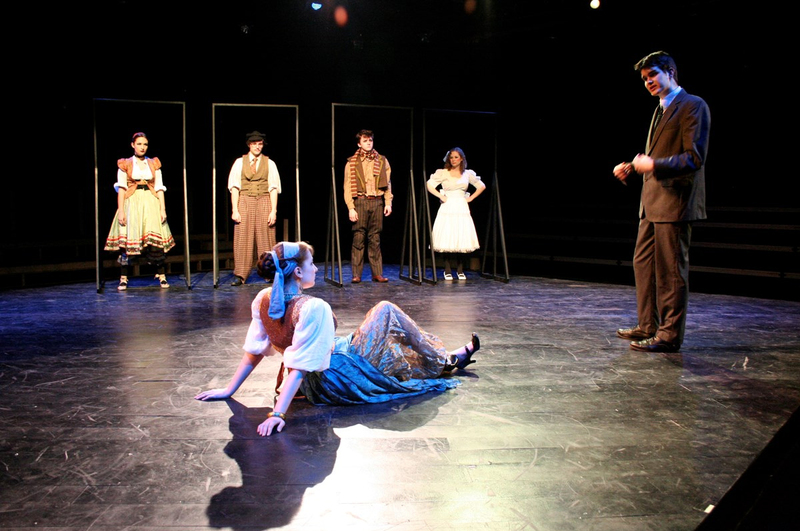 The minor track in film and video serves students of any major, including Theatre Studies, who seek a serious exploration of film as an artistic medium. 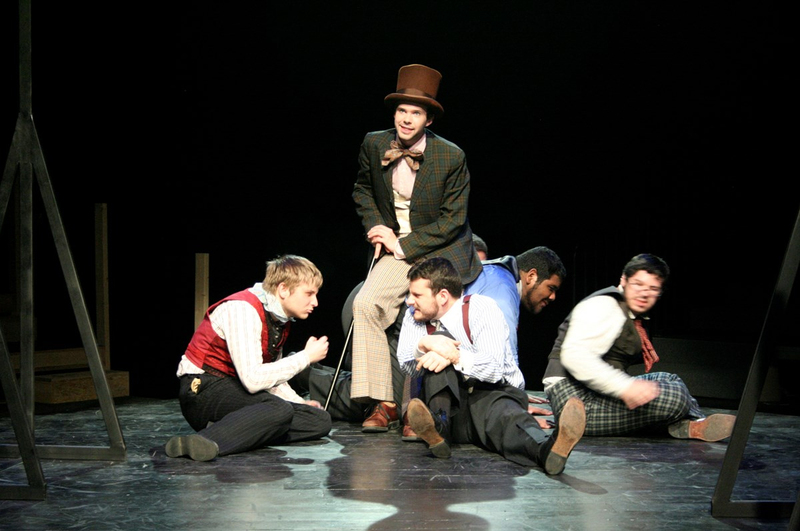 Theater Studies graduates have been accepted into programs at Yale, NYU, Harvard, Columbia, Tufts, UCLA, Rutgers and Indiana universities. 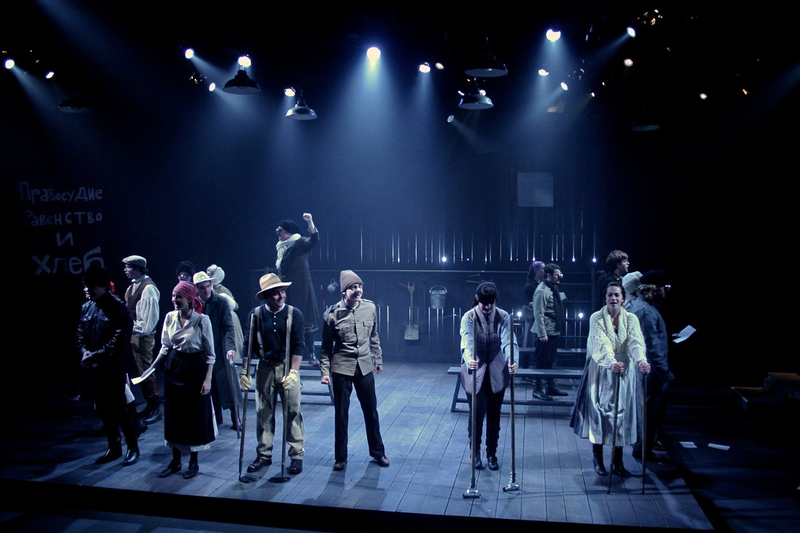 Others have gone on to careers in professional theatre as actors, administrators, designers, directors and technicians. 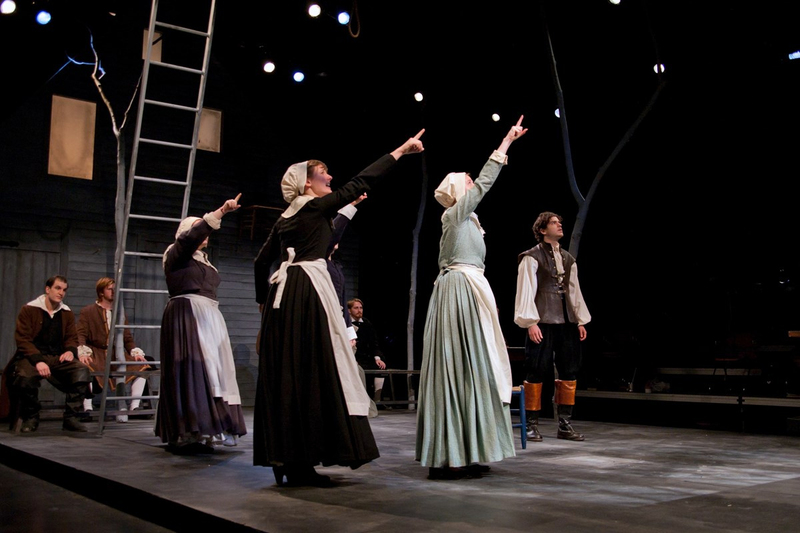 Several have followed successful career paths outside the theatre, in fields as diverse as law, medicine, psychology, education and social work.  Major/minor requirements and course descriptions are available in the online version of the Guilford College Catalog. 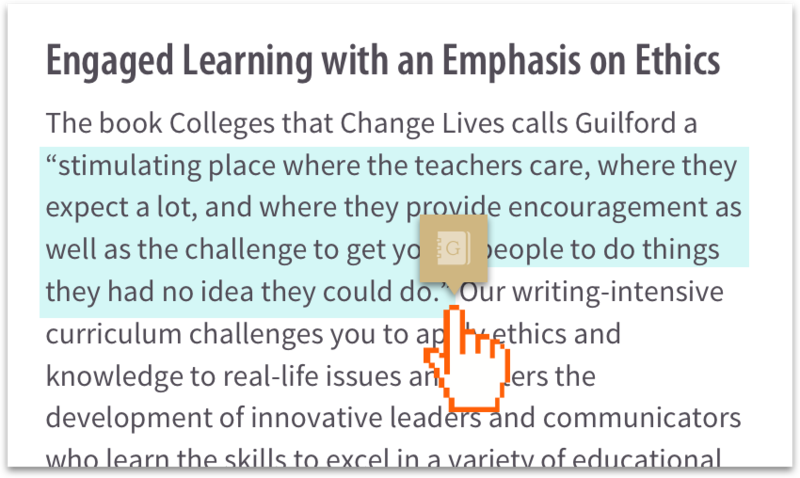 Use the keyboard shortcuts Control F for PC or Command F for Mac to search the document for your program. 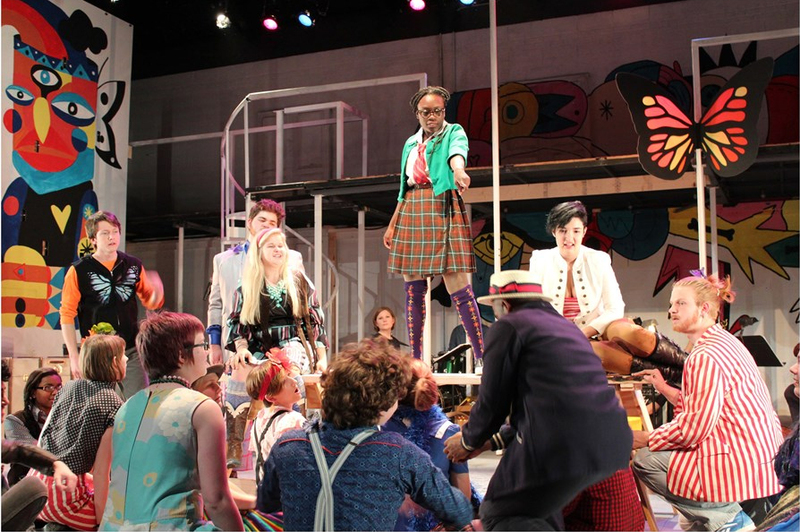 Auditions: Auditions for our productions are open to all students regardless of major or year in school. 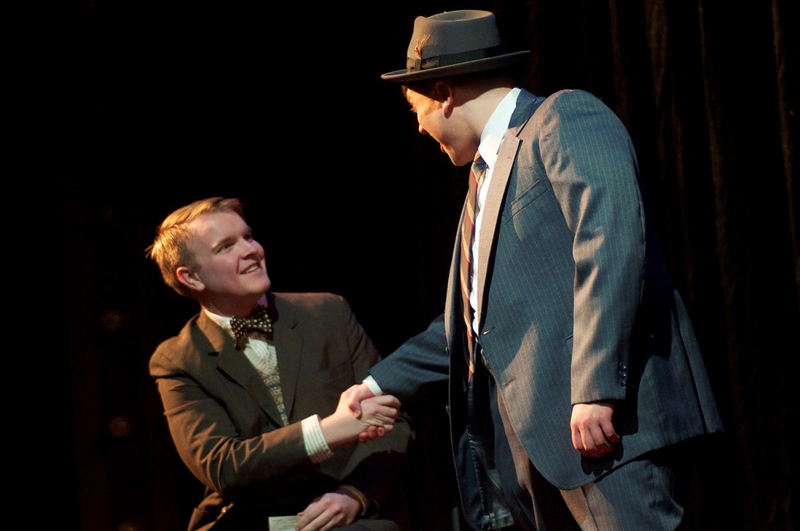 Generally, auditions are held within the first two weeks of each semester, but additional auditions are sometimes held at other times. 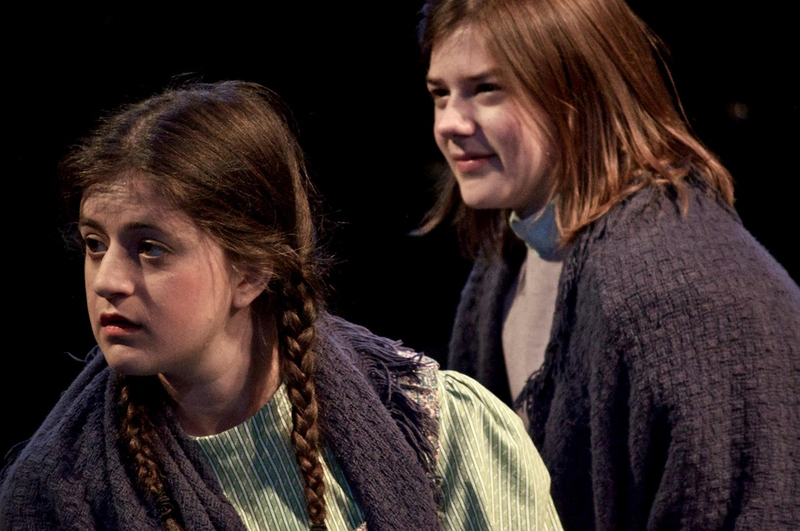 Backstage: Any student can be involved in our productions. 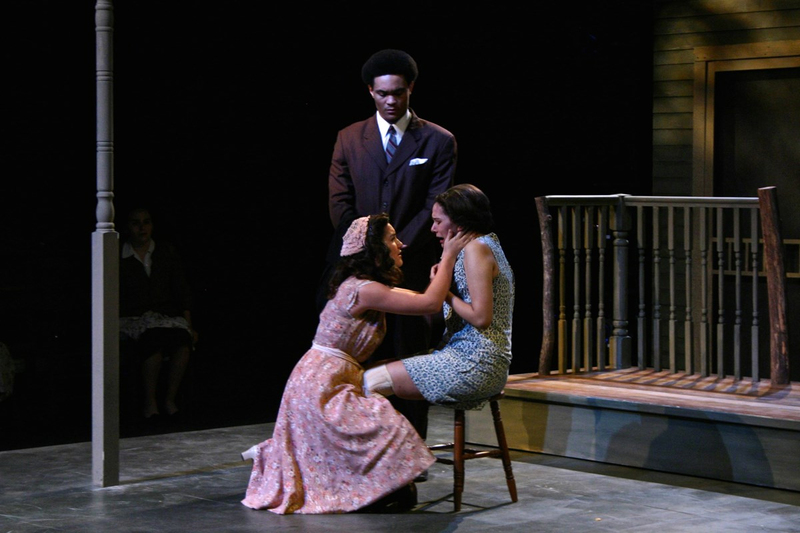 You can be a part of the production team through our practicum program, through THEA 111 (Backstage Production, 4 credits ), or THEA 195 (Mainstage Tech, 1-4 credits). 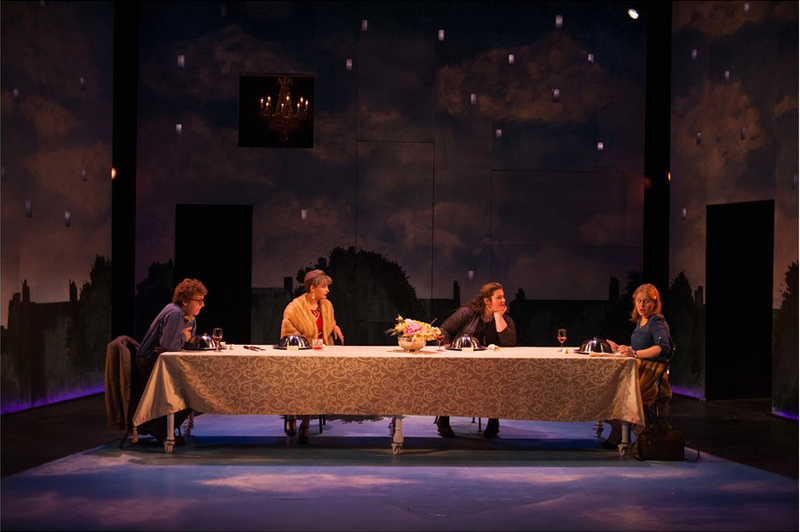 Practicum students work alongside faculty, guest artists and other students in a collaborative process that culminates in a fully realized theatre production. 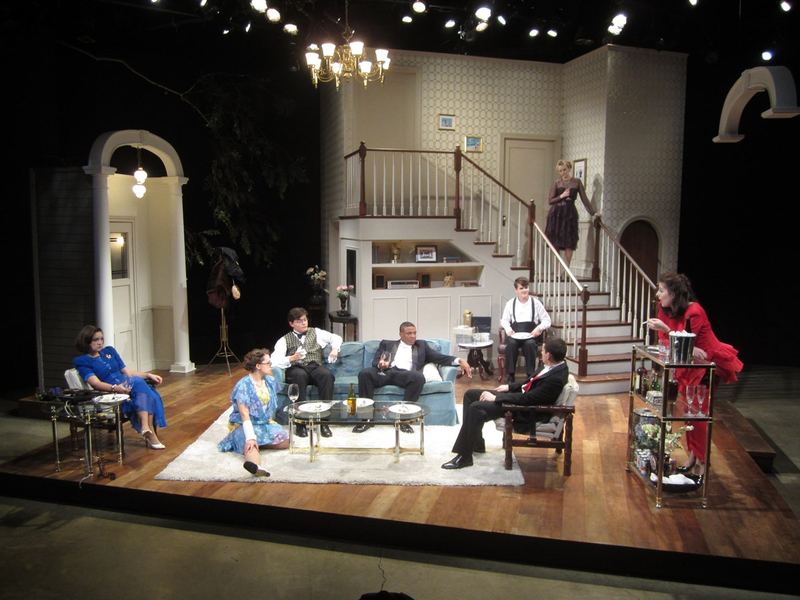 Guests: The department brings practicing theatre artists of high caliber to the campus to work with students. 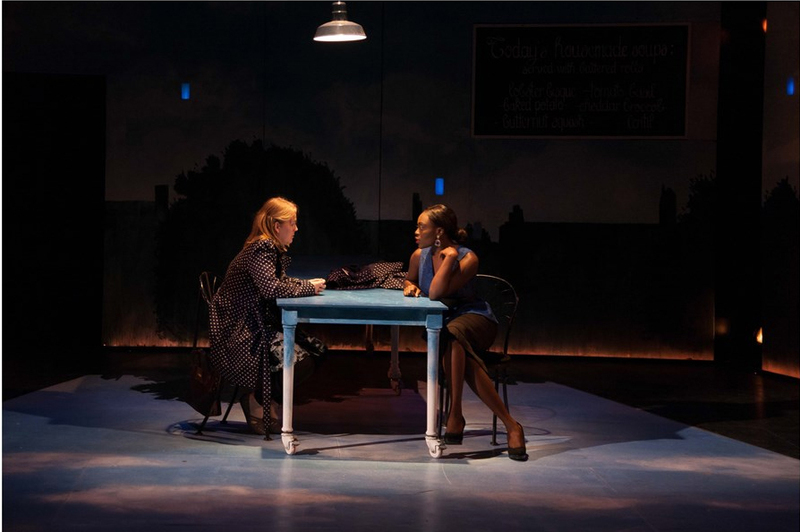 Distinguished guests have included Edward Albee, Simon Bent, Burke Brown, Tandy Cronyn, Tony Kushner, Maria Irene Fornes, Robbie MacLean, Sidney Poitier, Mark Rucker, Larry Singer and Anna Deavere Smith. 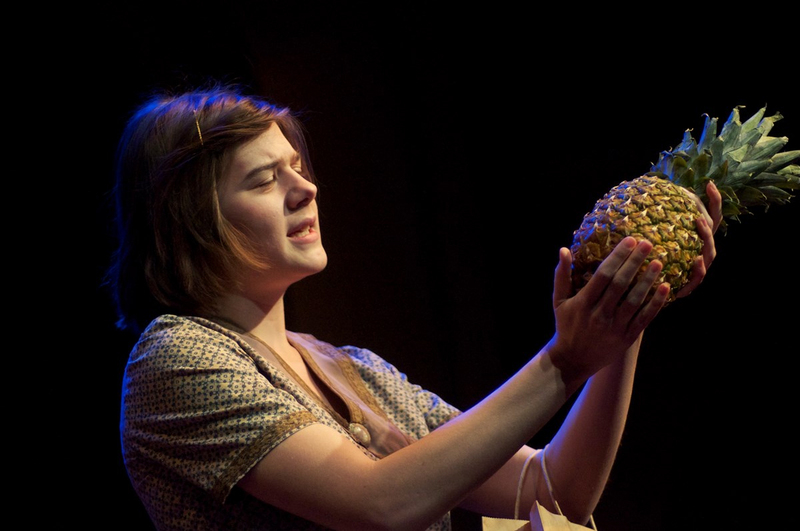 Internships: We encourage students to expand their skills through internships with professional theatre companies and other arts organizations. 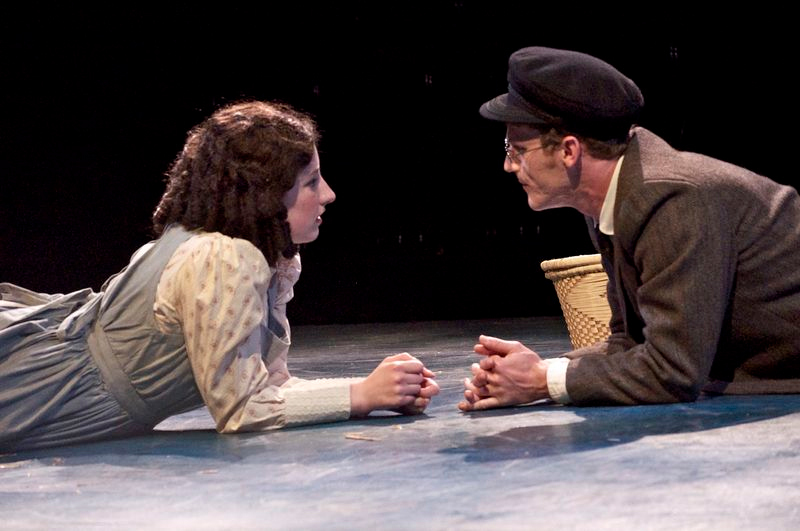 Internships can be completed during the fall or winter terms, summer or during January term. 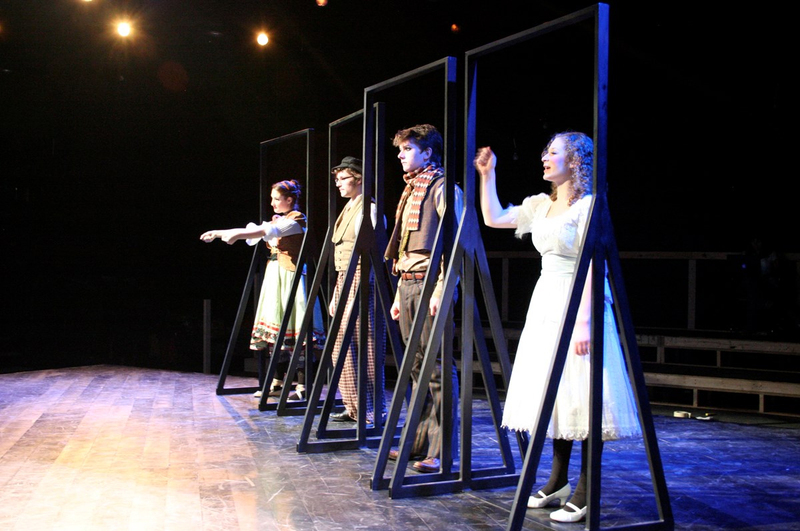 Some theatre students want to see their names in lights. 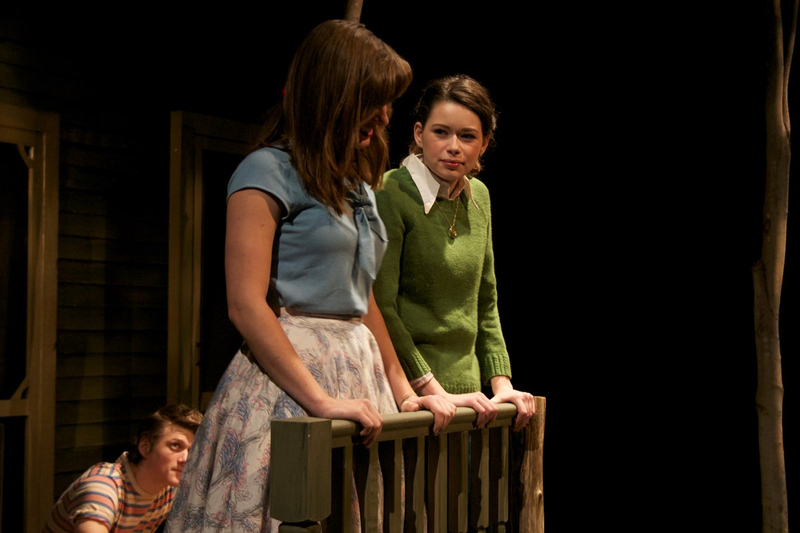 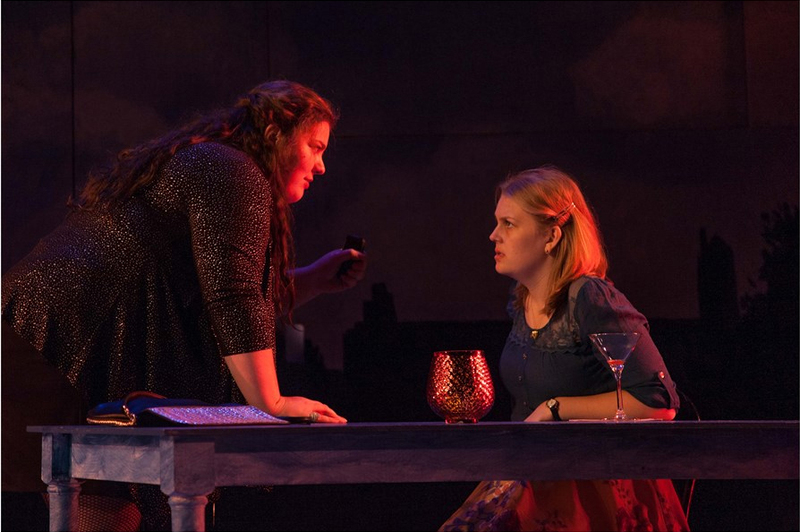 Riva Fairhall ’17 is more interested in designing scenery and lights. 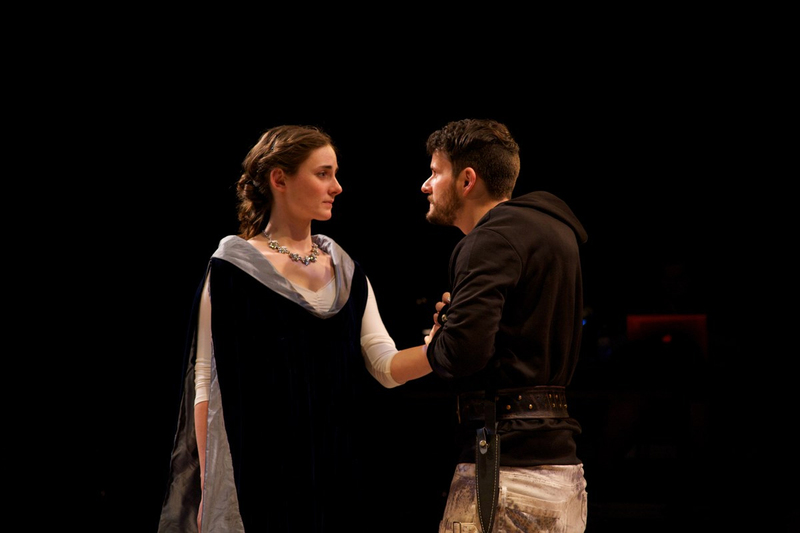 Follow Victoria Saraldi-Gallardo ’16 as she makes the most of her opportunity to live and study theatre in London. 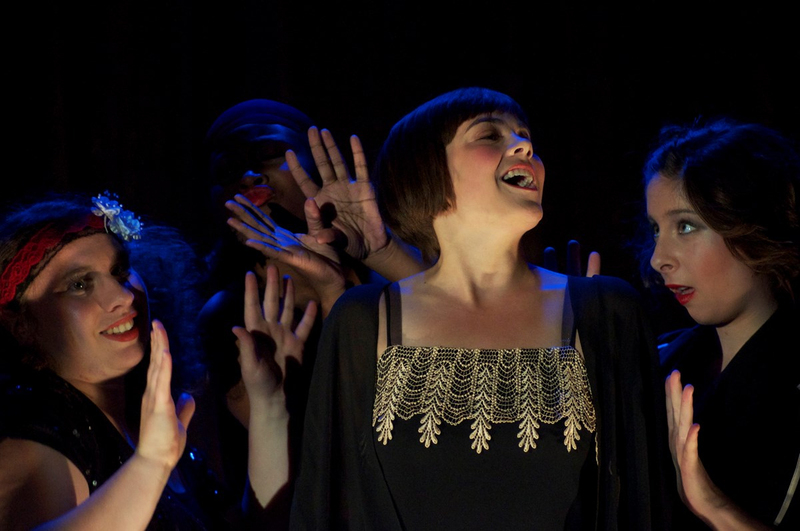 Scene from "Cabaret" a Guilford College Theatre Production in 2013. 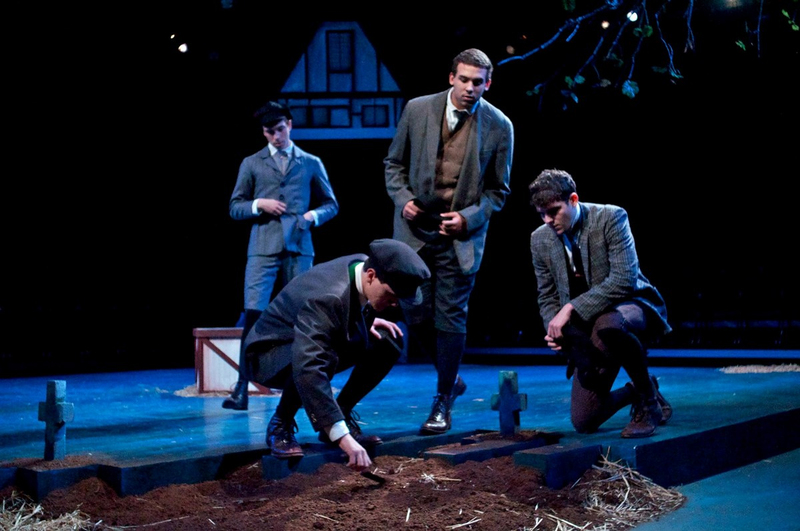 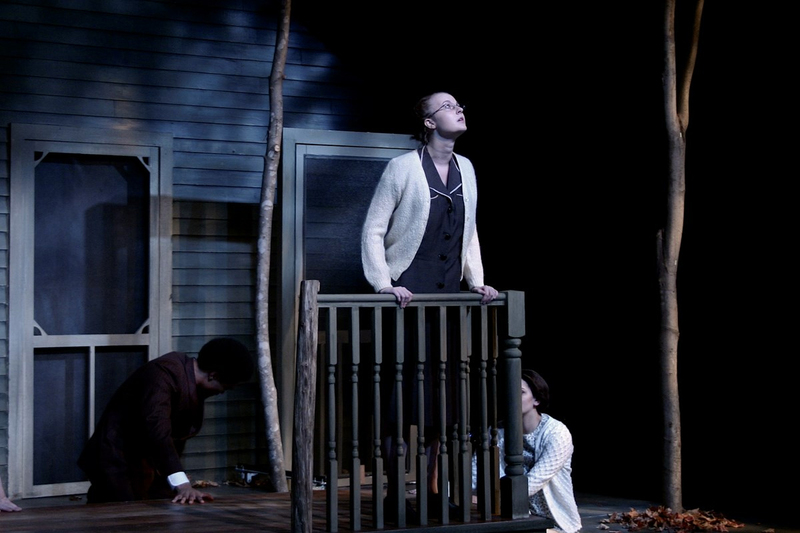 Scene from "Spring Awakening" a Guilford College Theatre Production in 2013. 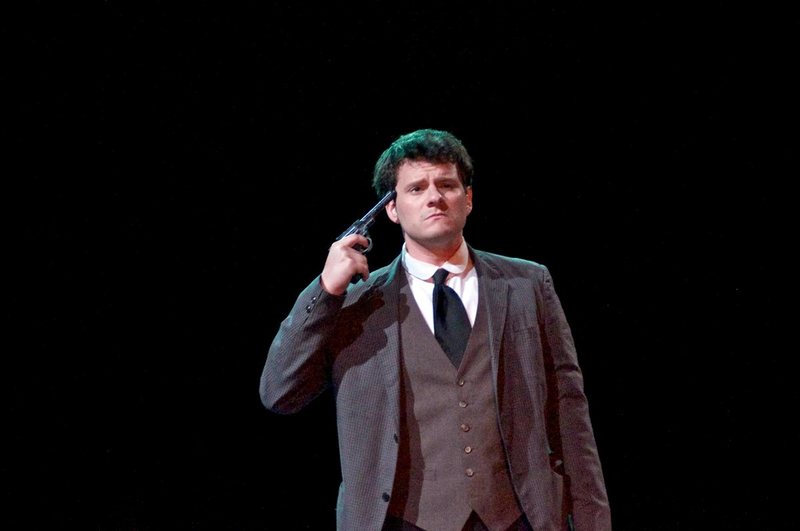 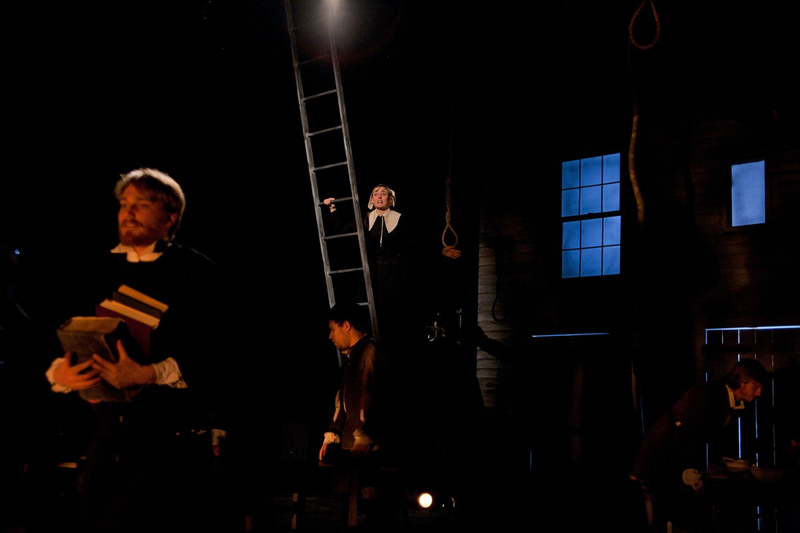 Scene from "The Trial" a Guilford College Theatre Production in 2013. 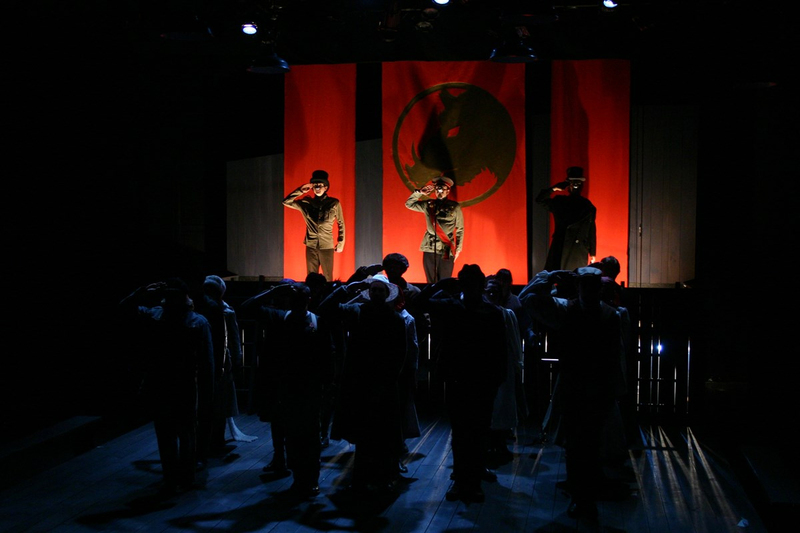 Scene from "Animal Farm" a Guilford College Theatre Production in 2014. 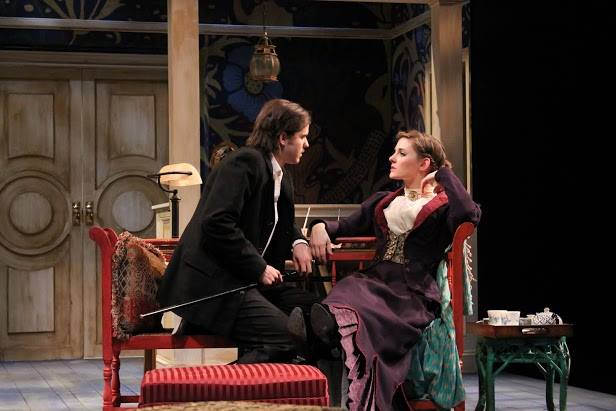 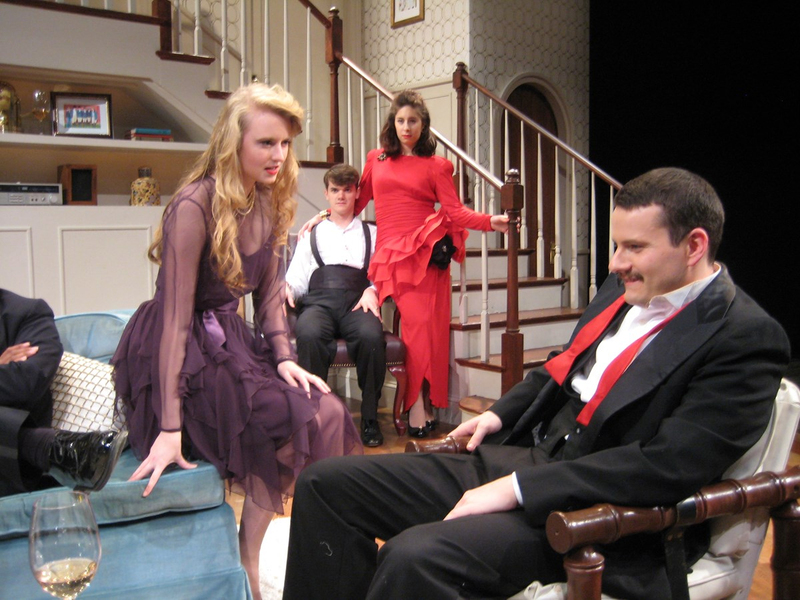 Scene from "Heartbreak House" a Guilford College Theatre Production in 2014. 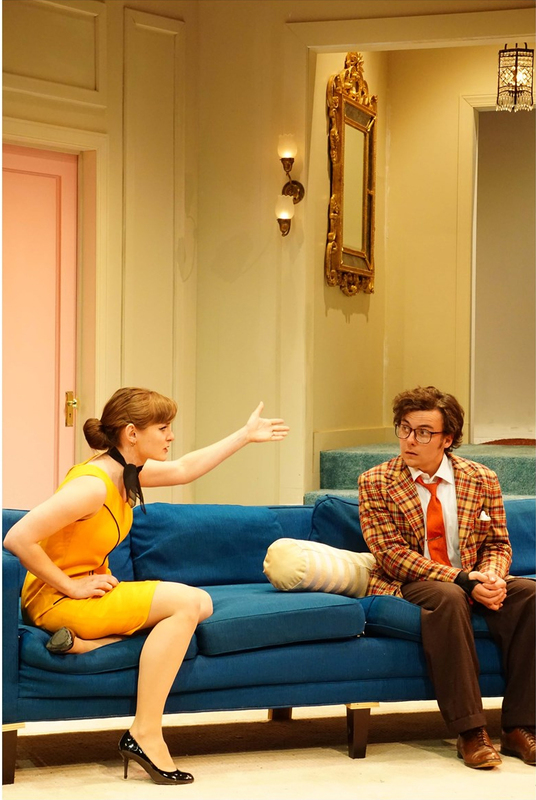 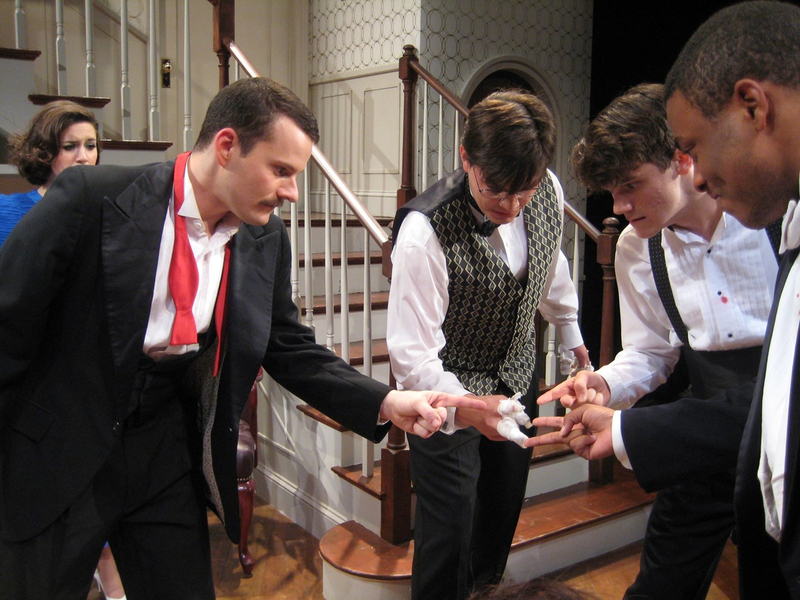 Scene from "Rumors by Neil Simon" a Guilford College Theatre Production in 2014. 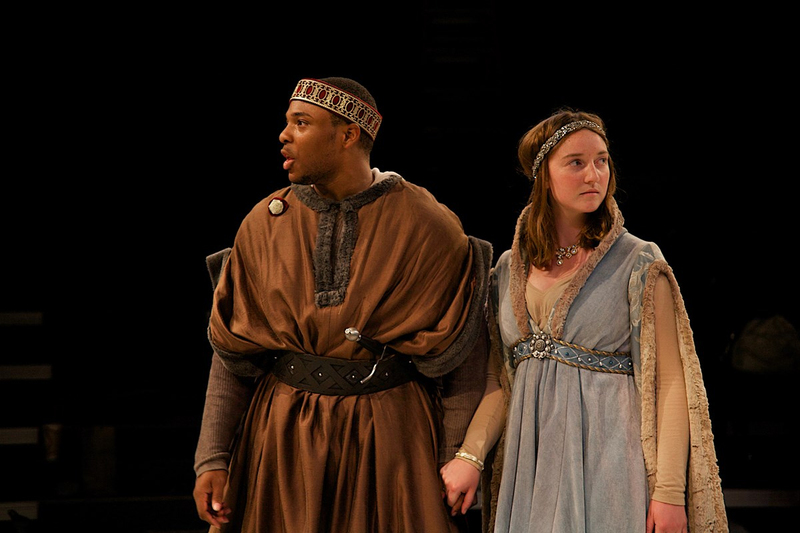 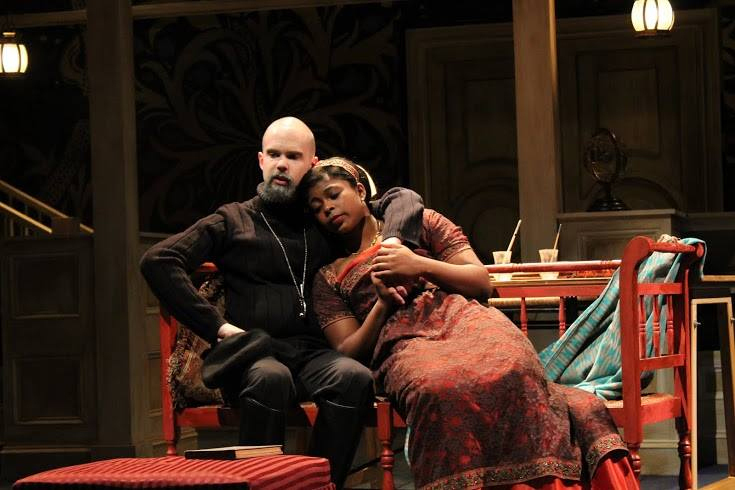 Scene from "House of York" a Guilford College Theatre Production in 2015. 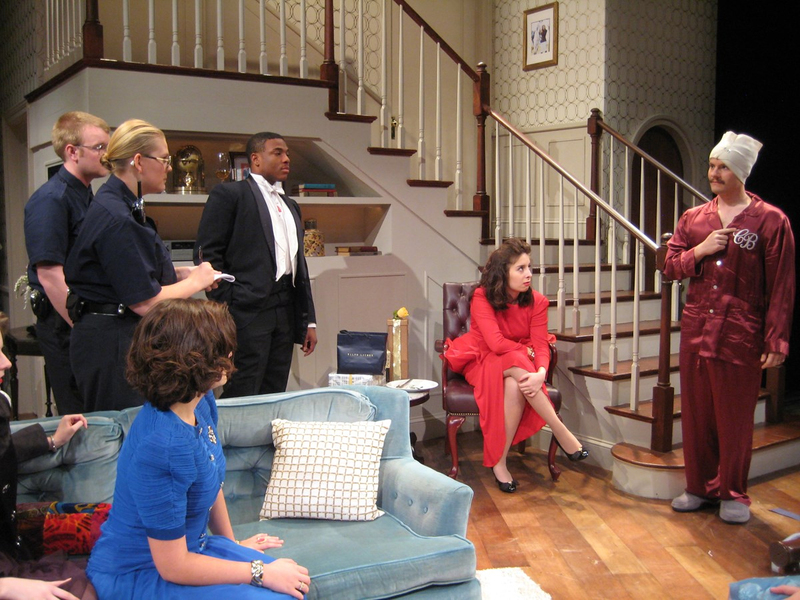 Scene from "Rimers" a Guilford College Theatre Production in 2015. 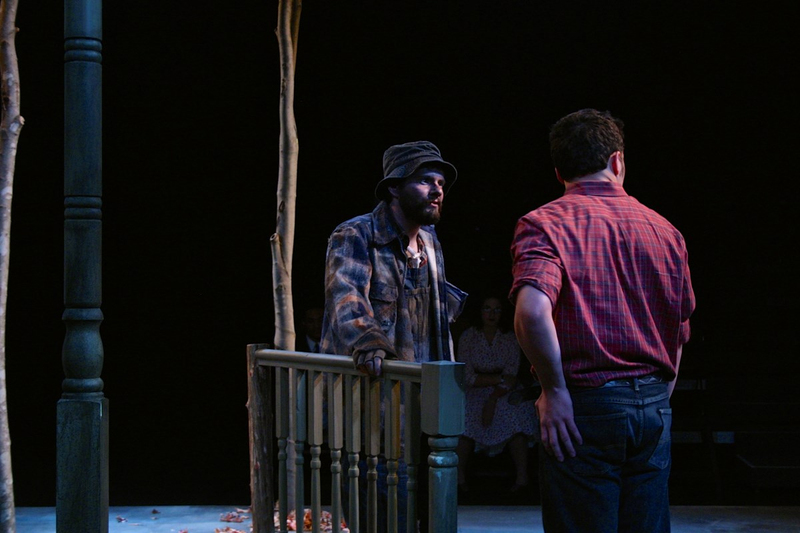 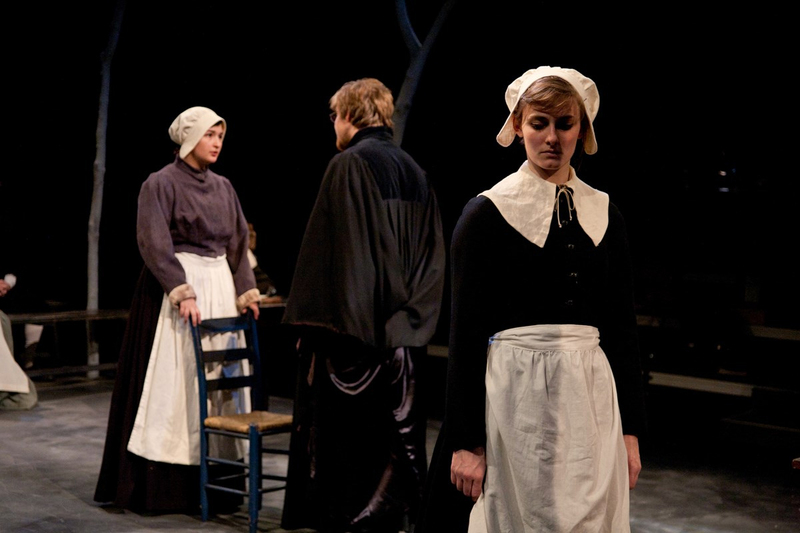 Scene from "The Crucible" a Guilford College Theatre Production in 2015. 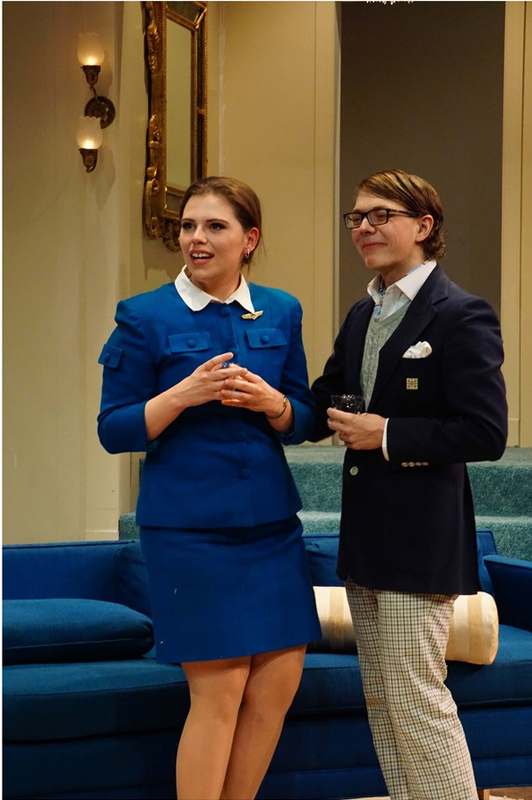 Scene from "Boeing Boeing" a Guilford College Theatre Production in 2016. 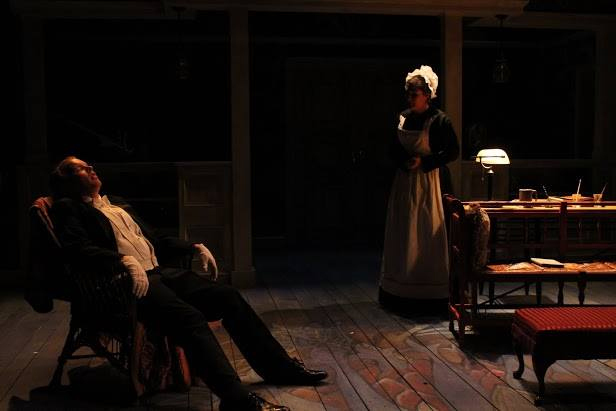 Scene from "Dead Man's Cellphone" a Guilford College Theatre Production in 2016. 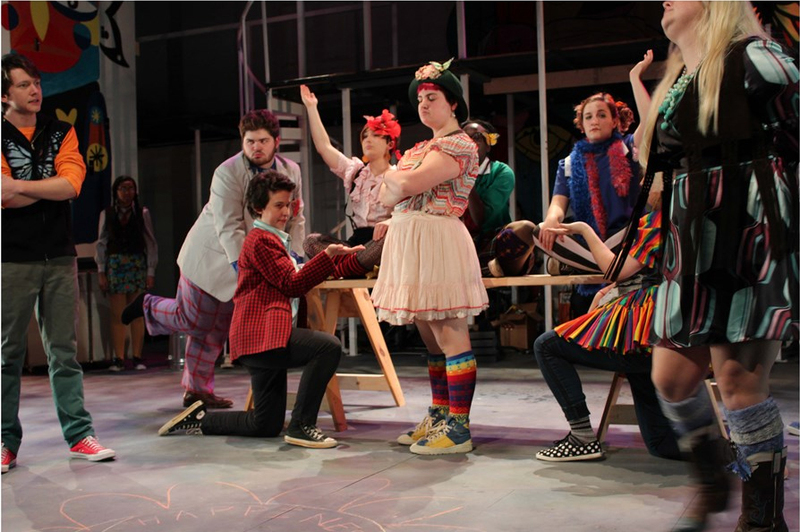 Scene from "Godspell" a Guilford College Theatre Production in 2016.